If you feel you have been unfairly hit with hidden fees you may be able to seek help from the financial ombudsman. What is the Role of the Financial Ombudsman? The financial ombudsman is an independent service set up by the government to resolve disagreements between members of the public and banks, financial services and insurance companies. 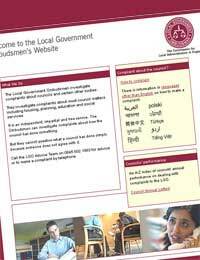 You can submit a complaint to the ombudsman service and it will give it impartial consideration. It will listen to both sides of the story and attempt to reach an agreement between both parties. The service is free to use and can help to avoid court action. What kind of hidden fees will the financial ombudsman help with?Any charges made for financial services are covered by the financial ombudsman. This includes unauthorised bank charges, credit card fees, payment protection insurance, loans charges, hire purchase and mortgage endowments. Basically if you are unhappy with any fees that you have been charged it is worth submitting a complaint. The service will then get in touch with you to say whether or not they are able to pursue it. Ideally, you should complain to your bank or insurer directly first. This gives them an opportunity to resolve the problem with you. However if they don’t respond satisfactorily to you within eight weeks then you can complain to the financial ombudsman. Inform the business you have a problem with you have taken the complaint further. There is a straightforward form to fill out which asks for as many specific details as possible about the problem. As there are time limits on addressing some issues you are well advised to contact them as soon as possible. This ensures that your complaint has the best chance of being resolved. If you need help in filling out the form you can ask a Citizens Advice Bureau adviser for help. Try to stick to the facts, even though you may feel angry, as your complaint is likely to be taken more seriously. Be wary of companies offering to pursue complaints for you. They will charge you for their service but are not likely to be any more successful than you will be by filling out the form yourself. Keep copies of any communication between yourself and the company you are in dispute with. This can help to back up your case as the ombudsman investigates it. The length of time the process will take varies. Many complaints are resolved amicably at an early stage. However if no informal resolution is possible then the process moves to a more in-depth investigation where reports are researched and written. In a minority of cases a further stage is required. This is where there is no resolution between the parties and the financial ombudsman makes a final ruling. It is not a speedy process but most cases are completed within six months or so. Consumers are not always successful but this service offers you a free and reliable opportunity to address serious issues involving unexpected or hidden fees.